Return of the Water Babies!!! 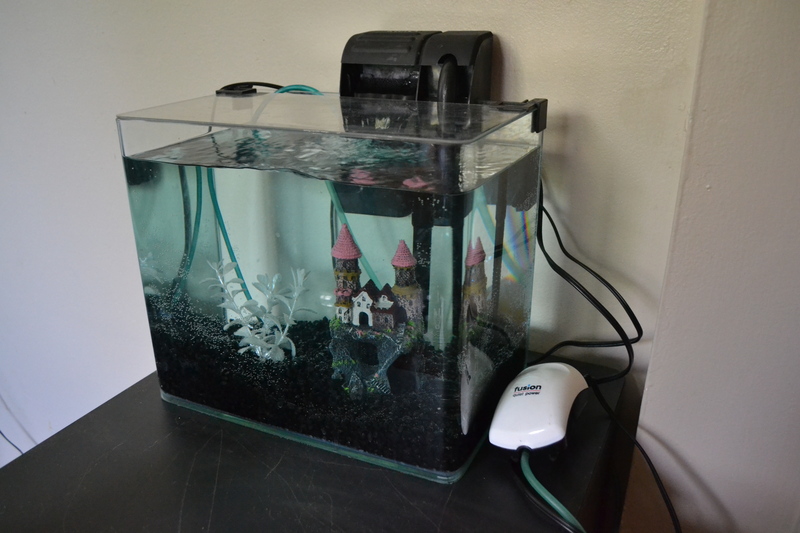 This time I made sure to run the aquarium for 5 weeks with start zyme before going to the pet store so that it could build a suitable environment. 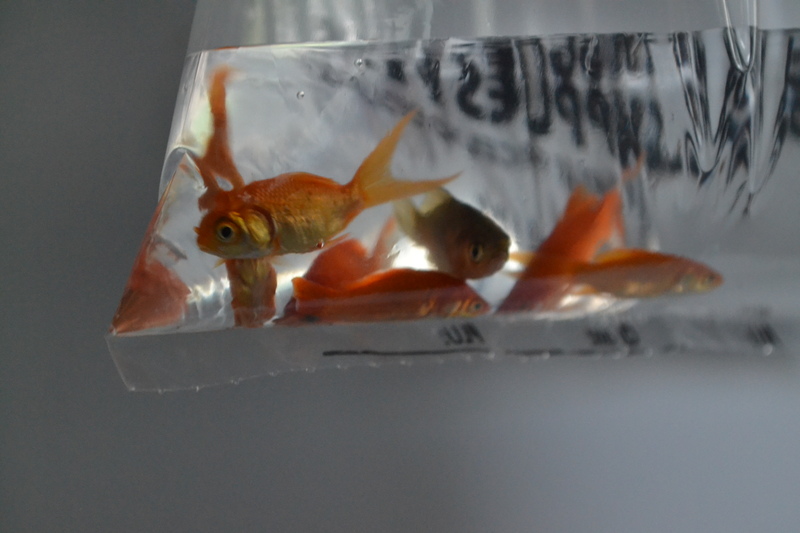 When I brought them home I realized that the fish were severely ill. The clerk had given me fish from the bottom of the tank instead of strong swimming ones, stating that they were just sedated. (gullible) Once home my new little buddies burrowed into the rock and laid in a pile. Only moving if food was in the water. One fish would notice the food in the water and rouse the rest of the pile by nudging their tails. Once done eating, they would return to their pile. Because of the number and close bond, I dubbed them the seven dwarfs. I got the ick treatment going right away but wasn’t seeing much improvement. 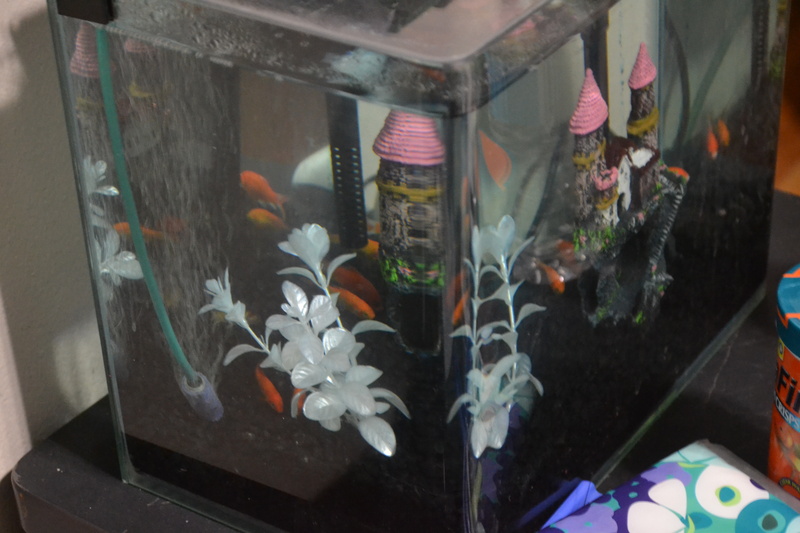 Their fins were still clamped and torn and they would lethargically move around the tank. 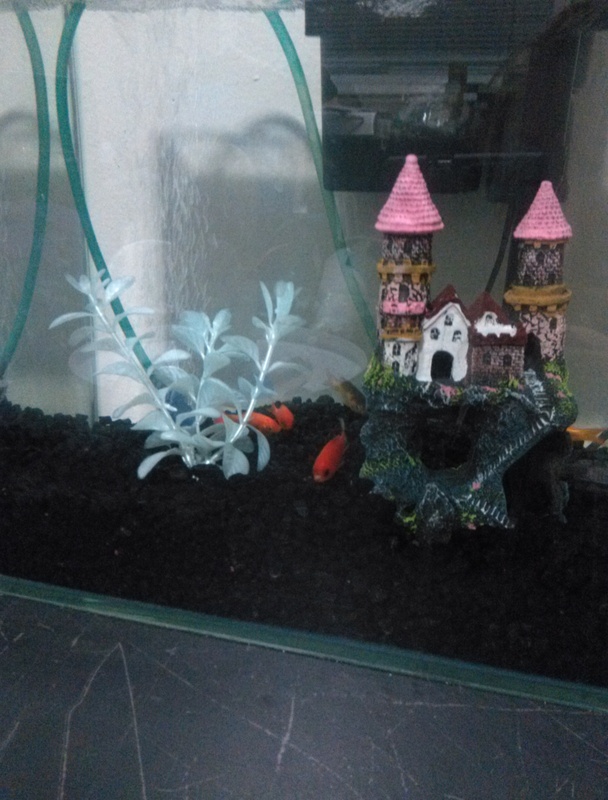 The Life Guard (all illness) tablets I usually treat my goldfish with weren’t sold at the pet supply stores I was visiting, so it took 5 days before I located them at Wal-Mart of all places. Once started there was an immediate improvement seen with the fish and they started moving around. All the fish I had were fighters, and if I was able to start them with Life Guard from day one, I’m sure they would have all made it. 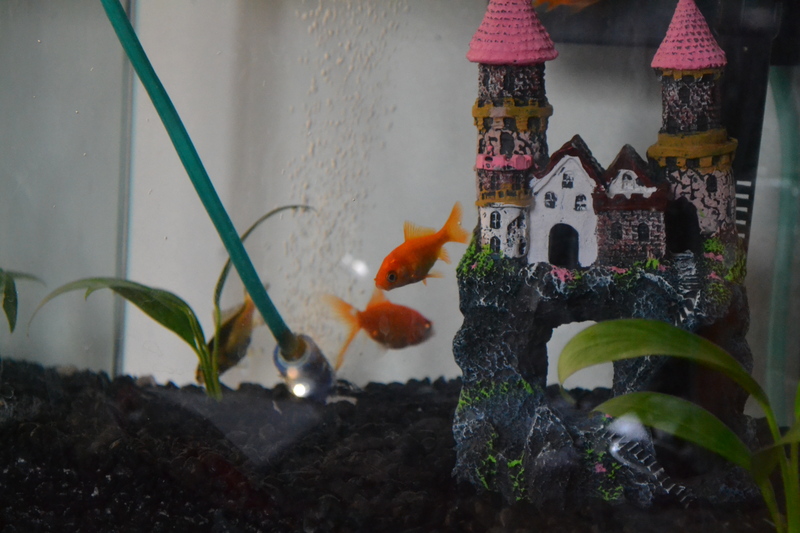 I’ve lost three, the last one being a little half tail called Dopey right after I returned from Summer Camp. 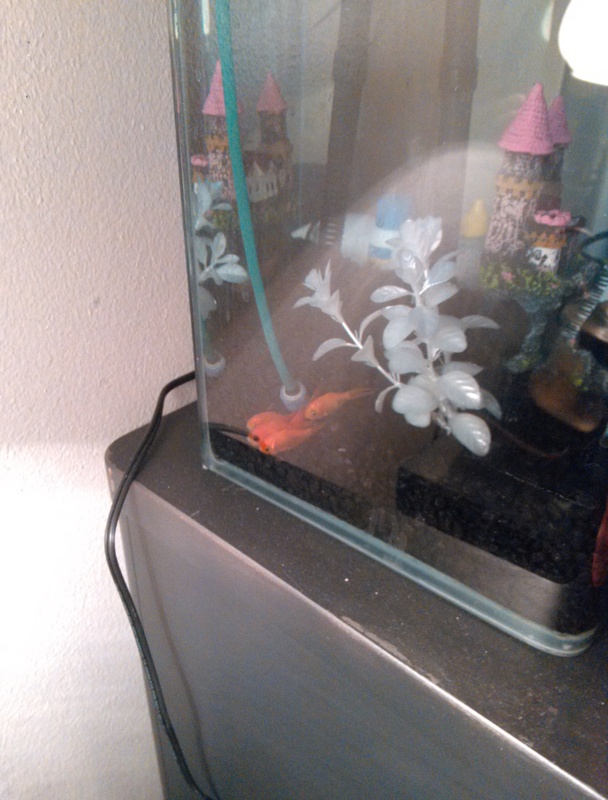 I pegged him from day one as not going to make it, but he exceeded expectations and lasted nearly 4 weeks, longer than two of his better finned brothers.